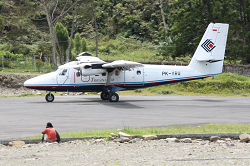 The Twin Otter aircraft approached Enarotali Airfield in windy conditions resulting in a loss of directional control immeidately after touchdown. 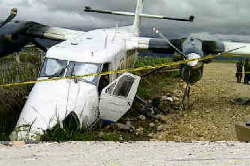 The pilots managed to halt the aircraft beneath the unpaved runway edge in a ditch where its nosegear broke, the nose and its right propeller was damaged. No injuries occurred. 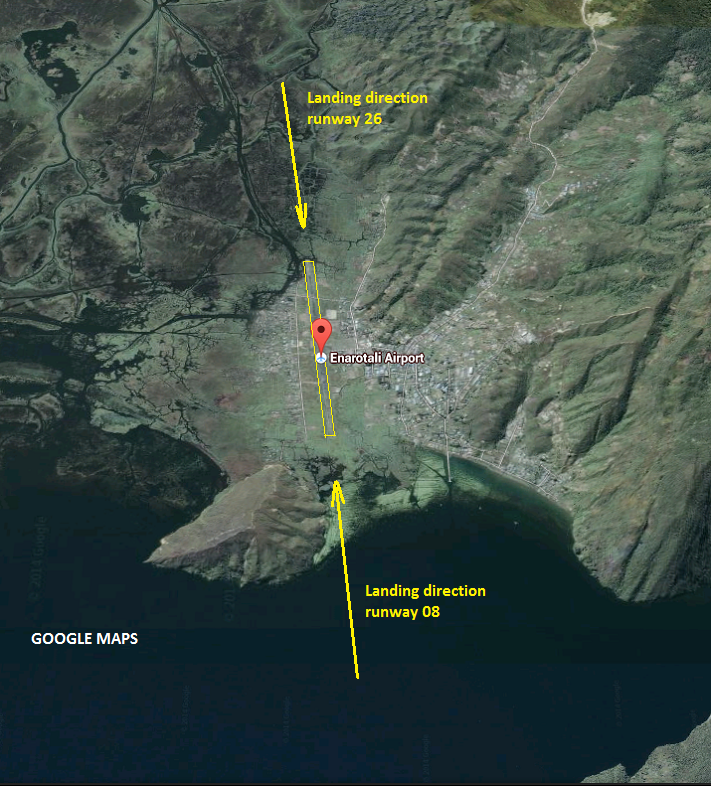 The aircraft was on a ferry flight withour passengers. Enarotali Airfield single runway is 765 meters in lengh.